There is a special evening coming up. For the past five years, Massachusetts General Hospital has hosted an annual fundraiser where one hundred different individuals or organizations are honored for contributions they have made to the cancer community. Happily, Dr. Alice Shaw will be recognized this year. Surprisingly, so will I. It should be one fun soiree, and all are invited. The down side: the tickets are bloody expensive ($500 each). However, $300 of that is tax deductible and the money raised benefits the MGH Cancer Center. 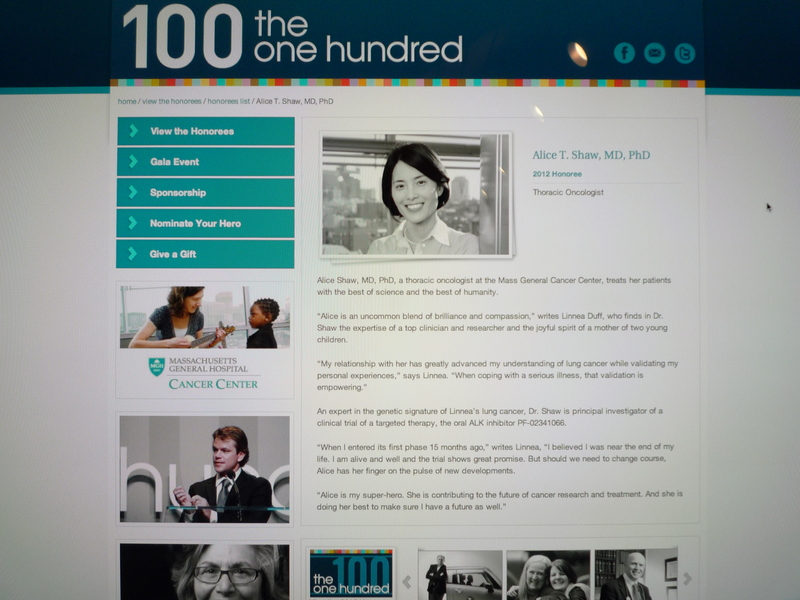 This entry was posted in Advocacy and tagged Dr. Alice Shaw, MGH The One Hundred 2012. Bookmark the permalink. Congratulations, Linnea! I can’t think of two more deserving people.. Miss you! Miss you too! Lots to catch up on, so I think it’s time for a get-together! Sounds like a great evening. Congratulations on being one of the one hundred! What a special night. 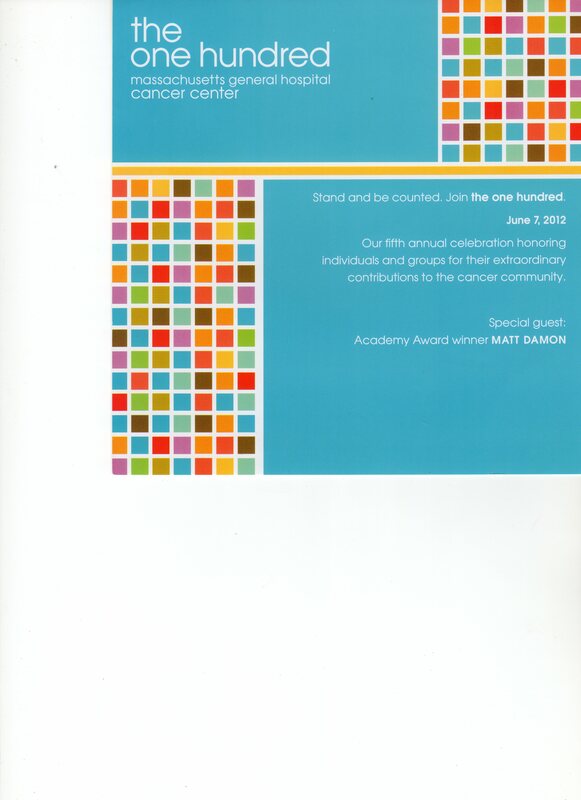 A tribute to great folks for a great cause. Go with blessings from your friends from yoga, Cathe and Richard!